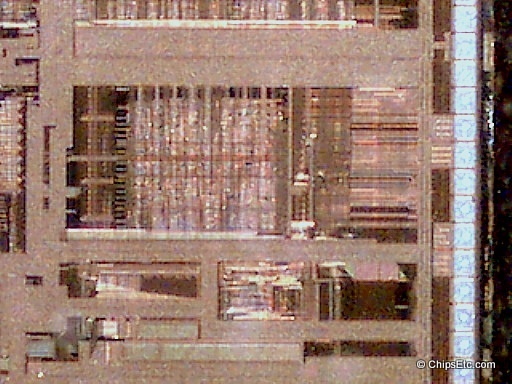 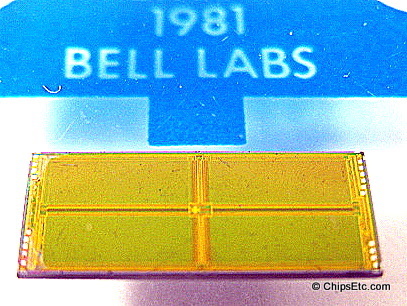 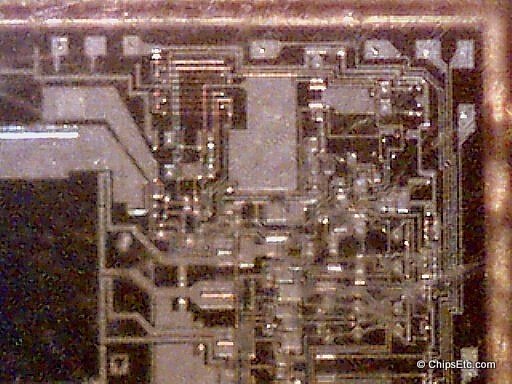 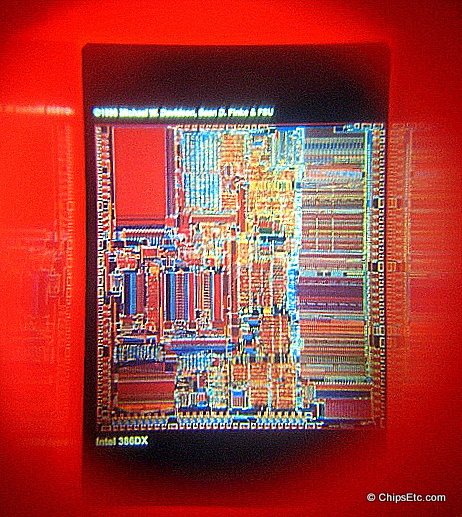 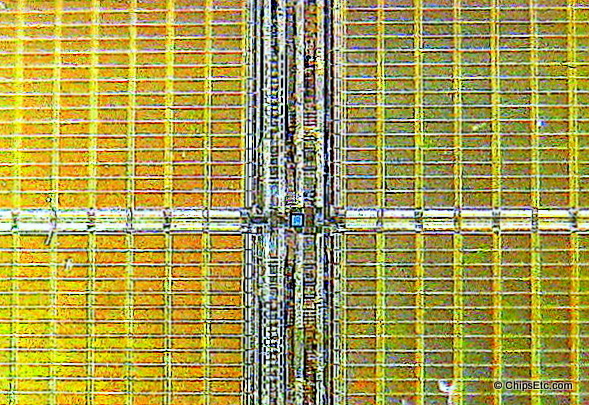 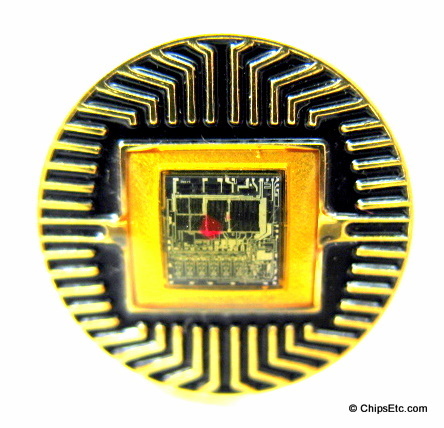 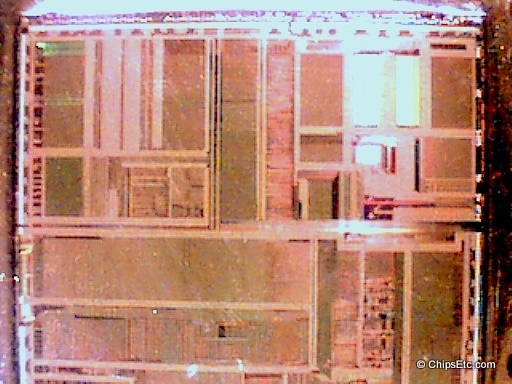 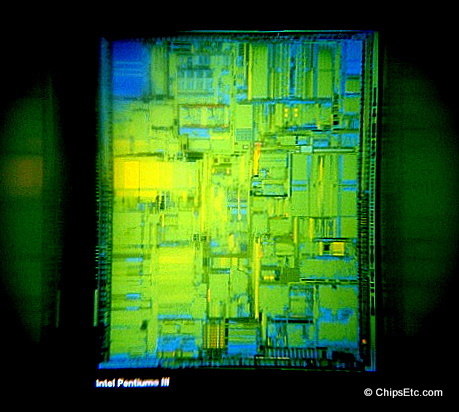 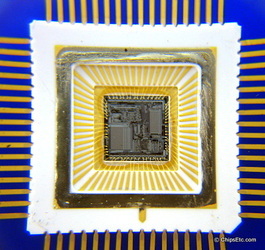 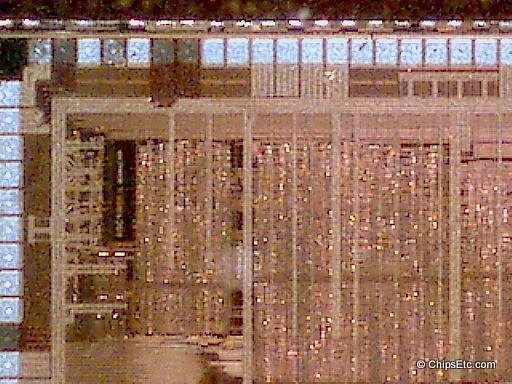 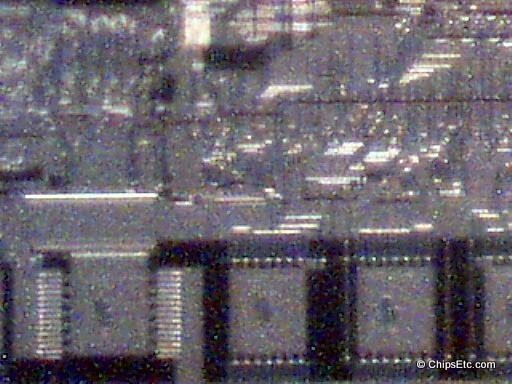 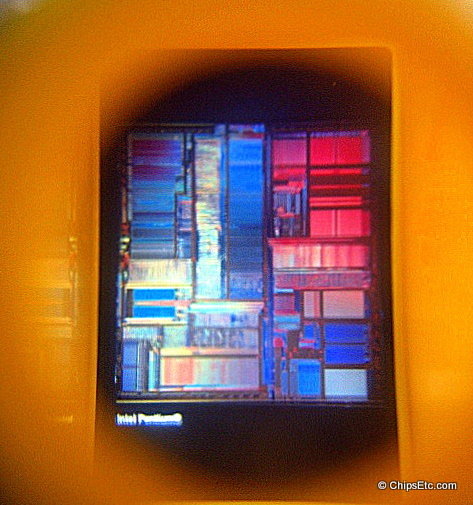 Viewed up-close using a microscope, the micro circuitry of a computer chip resembles the streets and buildings of an urban city as viewed from the air. 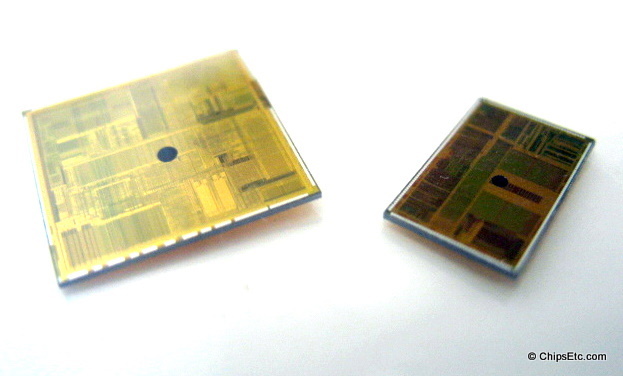 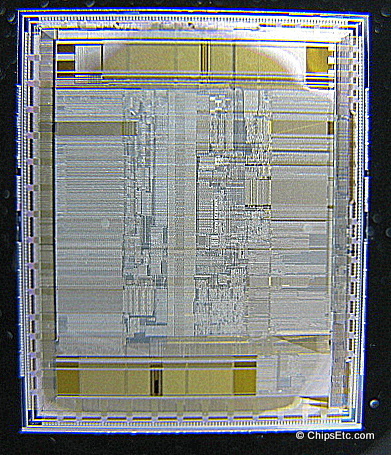 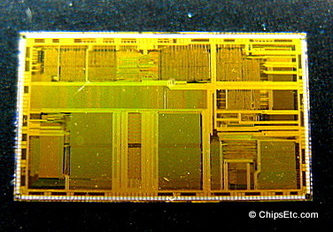 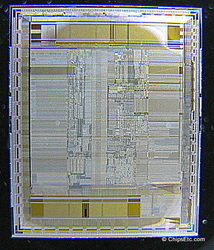 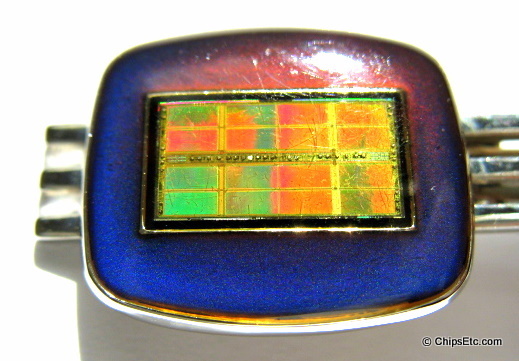 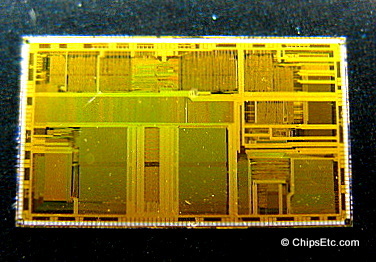 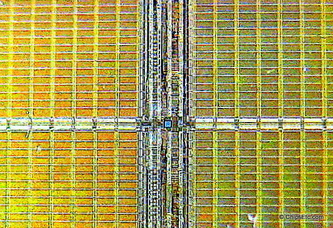 With the correct lighting, an amazing rainbow of colors will reflect from the circuitry of many computer chips and silicon wafers. 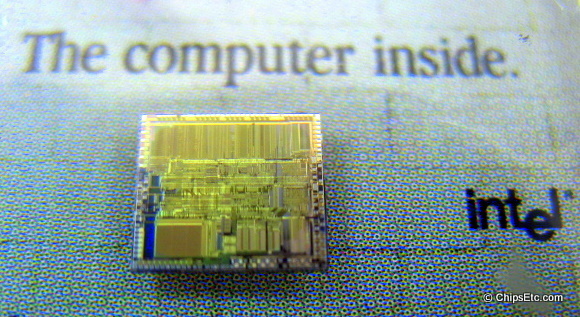 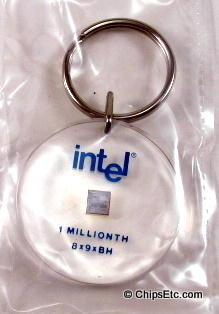 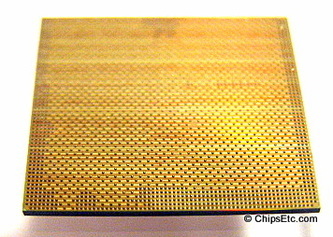 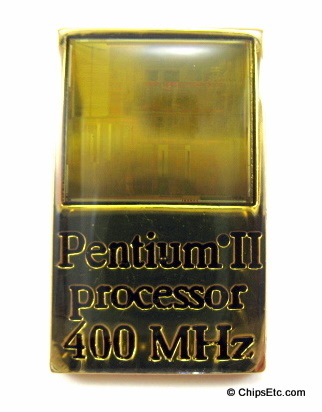 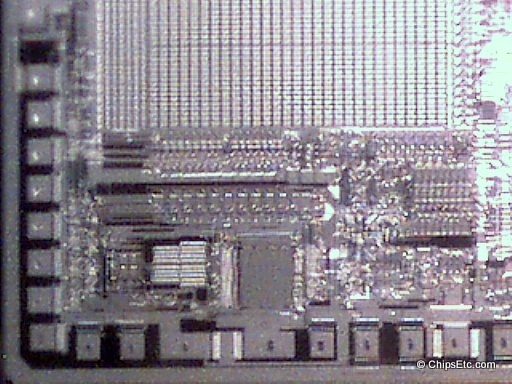 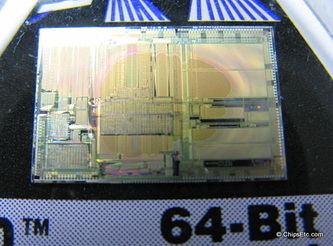 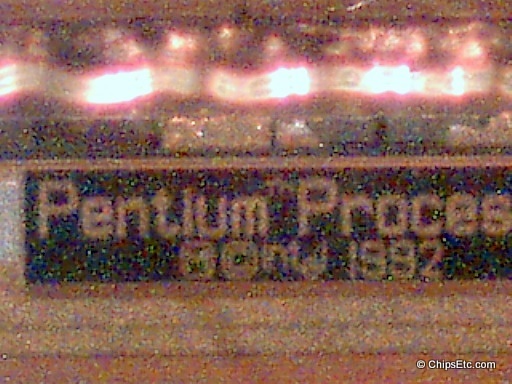 Some computer chips even have hidden words or artwork put on them by their original creators during the design process. 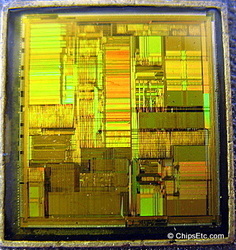 Also known as chip art, silicon art, microchip graffiti or photomicrography, was popular in the 1970's & 80's. 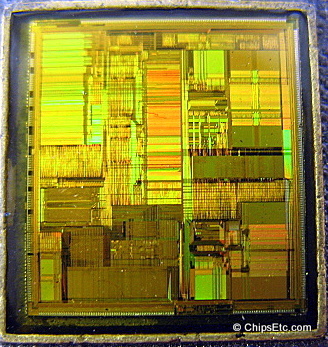 This practice of adding useless images, words and signatures to chip designs is mostly banned by the major semiconductor companies today. 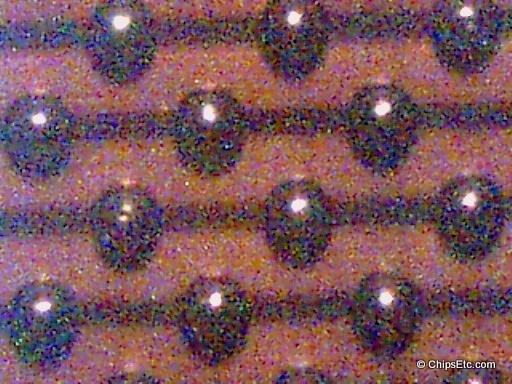 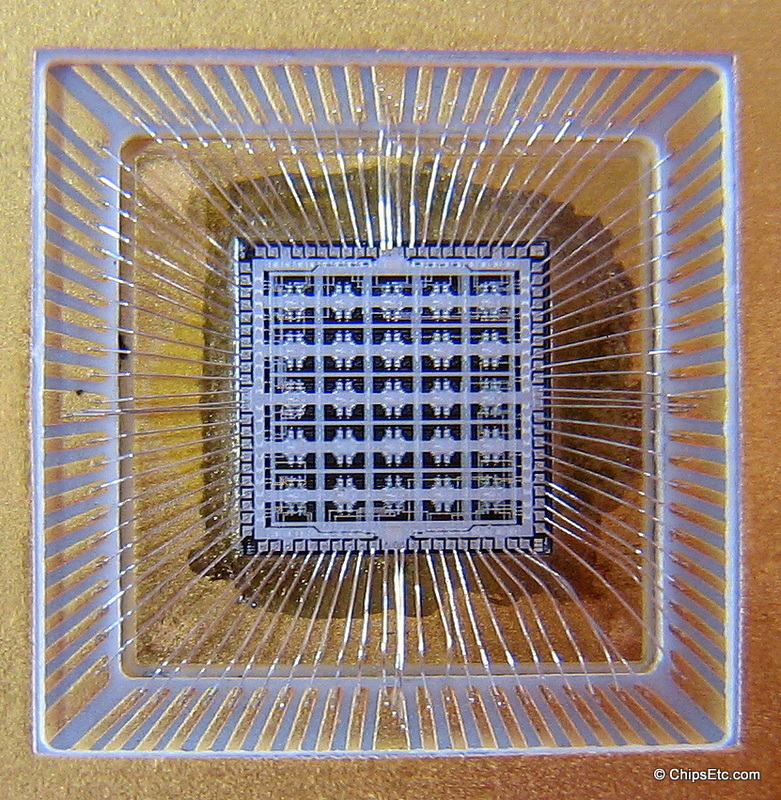 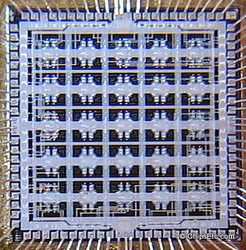 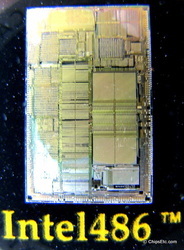 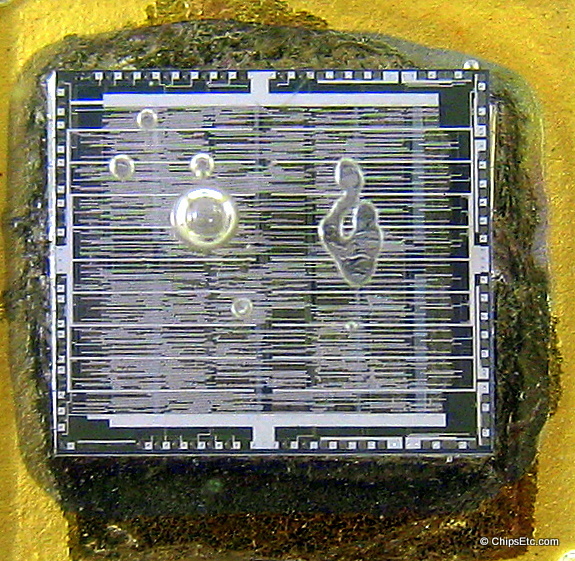 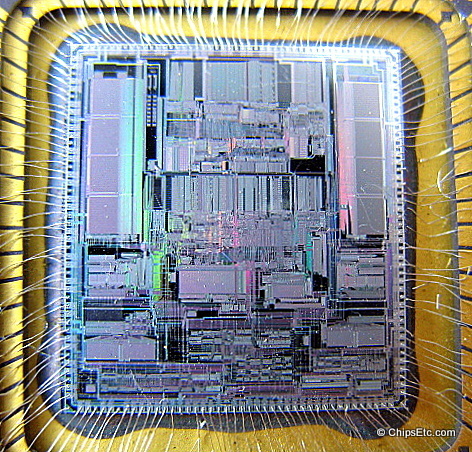 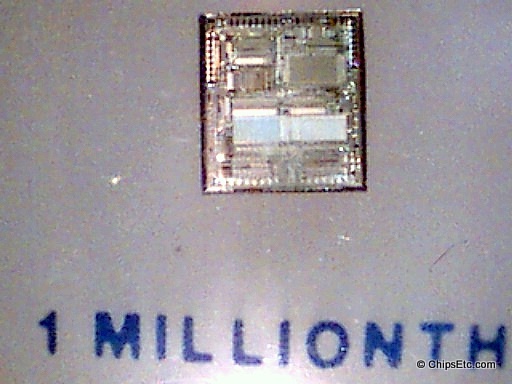 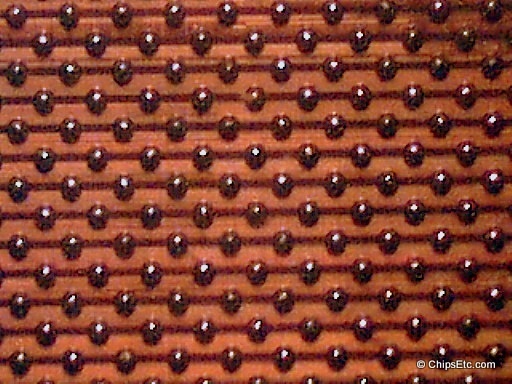 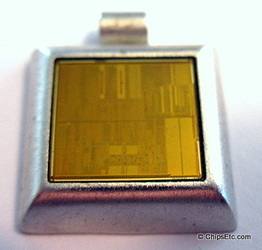 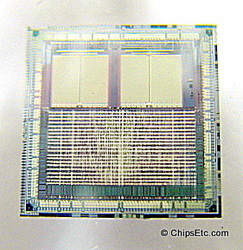 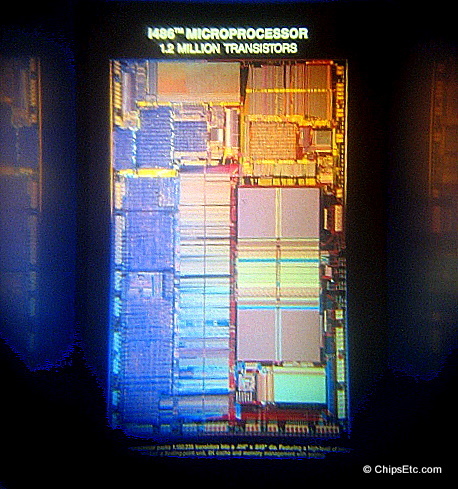 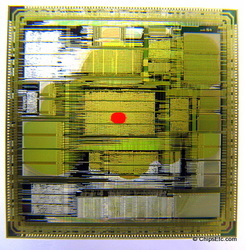 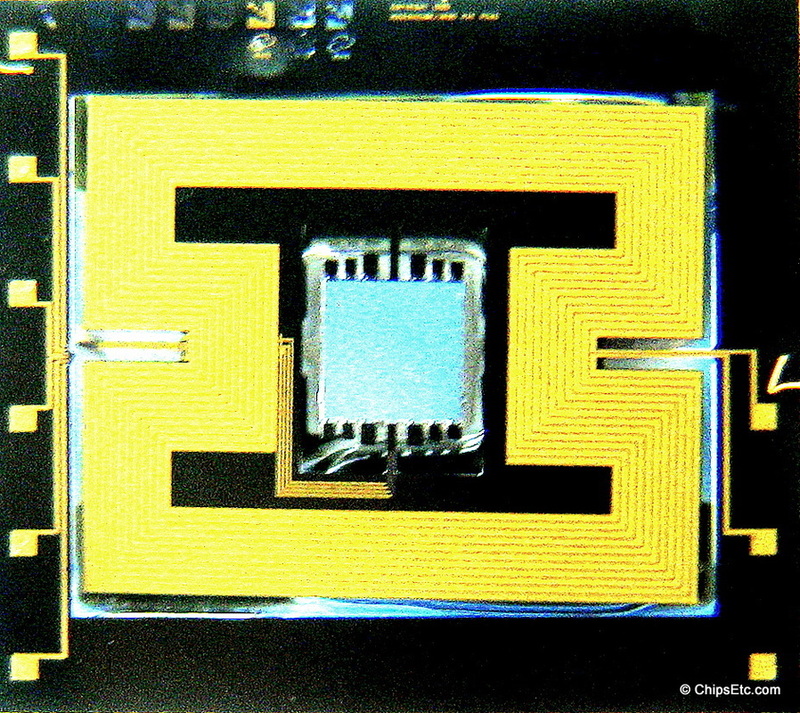 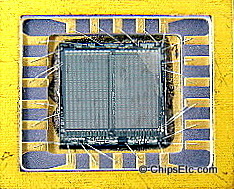 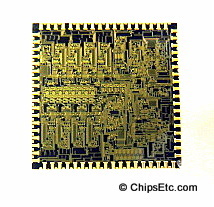 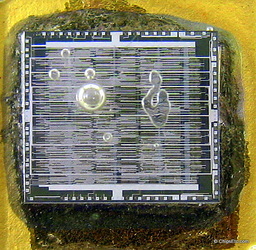 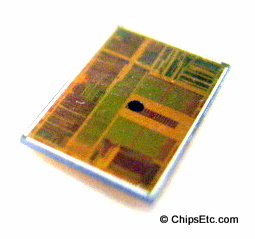 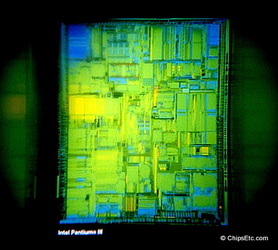 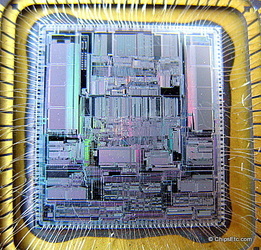 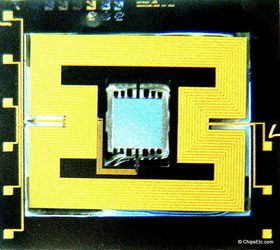 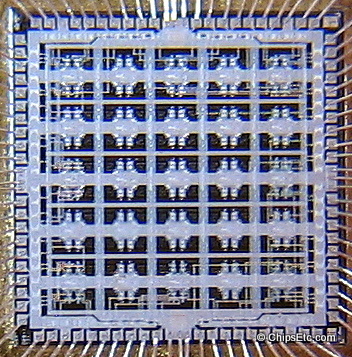 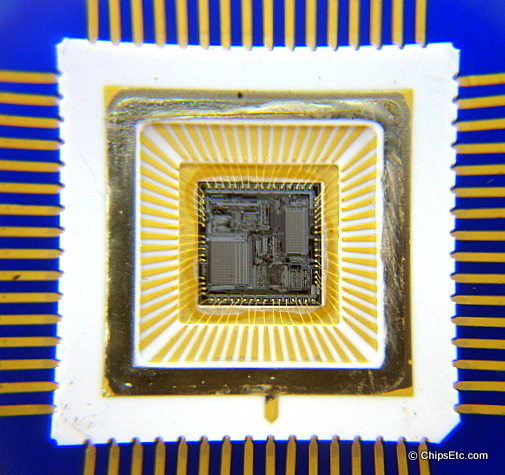 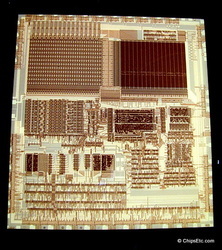 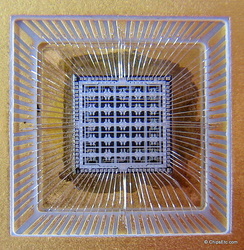 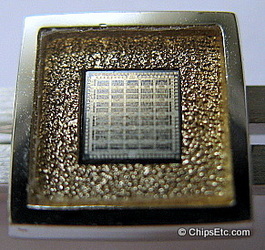 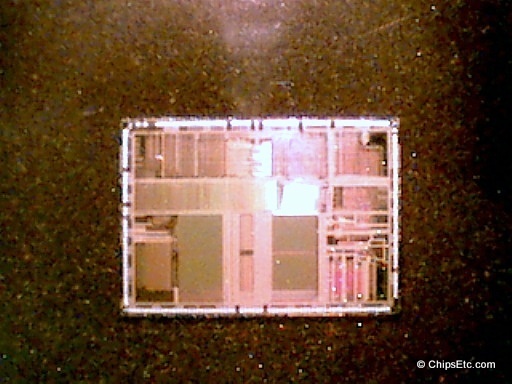 Chip art is composed of microscopic images that have been placed on a computer chip by the original mask designers. 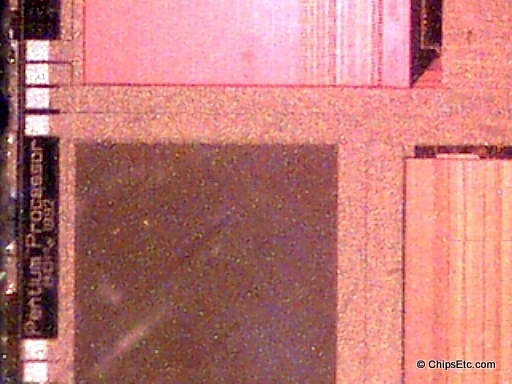 These images (such as Mickey Mouse, Daffy Duck, the engineer's signature, or a variety of slogans) are so small they can only be seen with a microscope (for example, three of them next to each other would equal the width of a human hair). 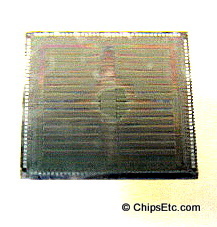 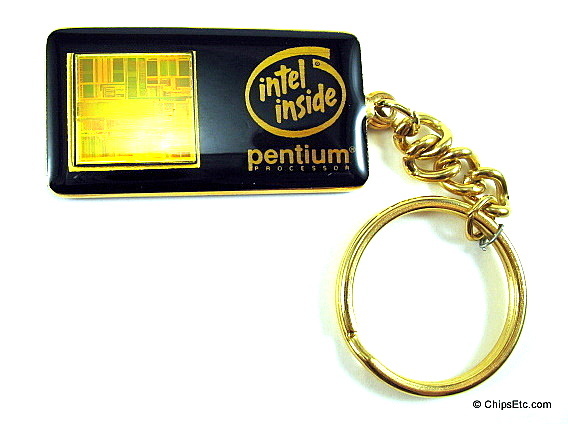 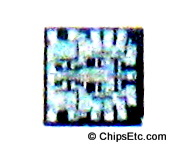 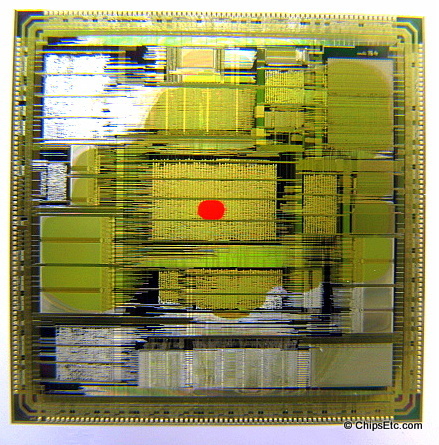 The idea to originally start putting these images on chips was to help with identifying un-original chip designs that had been cloned or copied illegally. 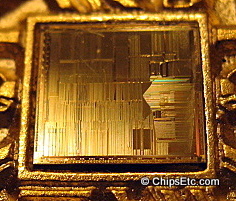 But in 1984, the U.S. Congress passed the Semiconductor Chip Protection Act. 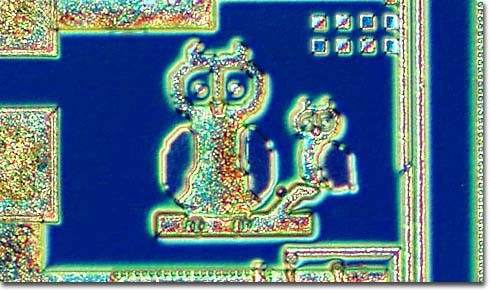 Pre-1984, graffiti was the only way to prove copying; the fact that the rest of the mask was identical was not sufficient proof. After 1984, an identical copy of a mask's working parts was an automatic copyright violation, and graffiti served no useful purpose.